Dream better while staying at the smoke-free Sleep Inn Phoenix North I-17 hotel in Phoenix, AZ, conveniently located off Interstate 17, northwest of downtown. Our hotel is just as restful as home, but better, with an outdoor heated pool, a hot tub and fitness center. 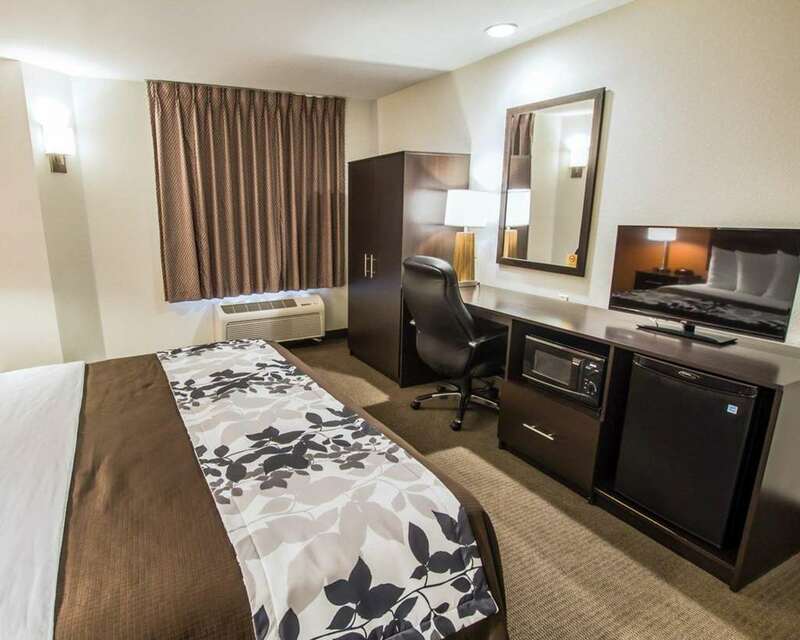 Other hotel amenities include free WiFi, free hot breakfast and free weekday newspaper. Then, enjoy your evening in your relaxing guestroom, which features a mini-fridge, microwave, coffee maker, hair dryer, iron and ironing board. Select rooms include refrigerators. Also, earn rewards including free nights and gift cards with our Choice Privileges Rewards program. Pet accommodation 35 USD per night. Pet limit 1 pet per room, maximum 35 pounds. Valid credit card required at check-in.